In the previous weekly forecast, we noted that a forex gap occurred when the market opened for the AUD/USD. This was due to the positive Chinese data over the weekend. The price action was capped at the top side by the middle bollinger band and the week ended with little change in terms of actual currency pair value. The middle bollinger band would likely be an immediate resistance with the sentiment region of 0.72 being the extended resistance. 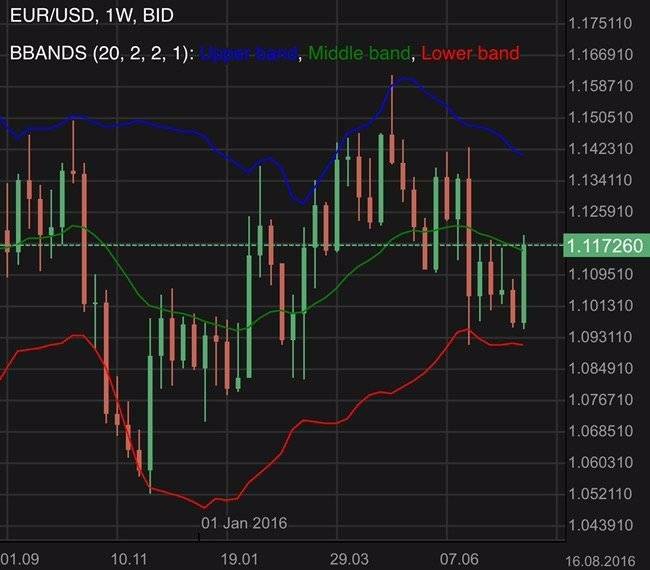 For the EUR/USD, we noted an attempt to breach the strong support region of 1.12. It had since eased back above 1.12 and if a bullish recovery were to return, we would likely see the middle bollinger band as the immediate resistance followed by the strong sentiment region 1.14. Looking at the AUD/USD weekly chart above, we noted that the currency pair was bullish for the week. It went for a test of 0.72 but failed to gain a foothold. Beyond 0.72 will see the upper bollinger band function as the extended resistance. If a bearish recovery develops, the middle bollinger may be the immediate support followed by the strong sentiment and support region of 0.7. 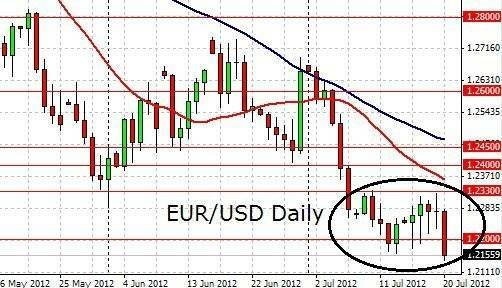 Looking at the EUR/USD weekly chart above we noted that the currency pair was bullish for the week. It attempted to test the middle bollinger band as expected but fell short of it. The week ahead will see the middle bollinger band functioning as an immediate resistance again, followed by the strong sentiment and resistance region of 1.14. If a bearish recovery develops, a push towards 1.12 is likely. The Australian Westpac Consumer Sentiment came in at 1.9%, bringing much improvement versus the previous month’s -4.8%. As this is regarding consumer confidence which is important to an economy as it translates to retail sales, it likely set a stage of positive sentiment. Another source of bullish momentum is the increasing price of brent oil. The Australian economy supplies energy resources both internationally and domestically. It has large resources reserves and hence is often influenced by the price development of commodities. While the household spending leaves more to be desired, the employment situation remains strong, something the Reserve Bank of Australia Deputy Governor Debelle has acknowledged. The week was generally of a risk taking climate. Analysts are attributing the risk appetite to optimism towards the US China trade talks. While there are bumps such as the US being ‘not satisfied yet’ in terms of expectations of a deal, investors are probably urged on by the ‘tough talk’ which is seen as real developments being made. It was reported that the European Union had decided to give Britain an extension to October to get a deal done with regards to Brexit. This is over 5 months. While this can be liken to kicking the can of worms down the road, the market appears to be one of relief, probably adding to the risk appetite. While the general take on the Euro Zone is one of a slowing growth, there seems to be a glimmer of hope. Industrial output is picking up generally, including Italy. This gives hope to analysts who are on the train of slowing but still gradual growth for the Euro Zone. We last left Italy on developments of budget challenges and hence this turn of tides will likely be much welcomed. The International Monetary Fund sharply cut its growth outlook for the euro zone. It now predicts a growth of 1.3% for the euro zone instead of the 1.6% mentioned in January. Germany and Italy had their growth projection cut to a mere 0.8% and 0.1% respectively. As they are among the top 3 biggest economies in the euro zone, the impact will be significant. The IMF also downgraded its global outlook to the lowest since the financial crisis a decade ago. It is of the view that conditions have worsened in most major advanced economies. It also cautioned governments on the need to “not rock the boat” with disputes and trade wars. Both the European Central Bank and US Federal Reverse have put tightening plans on hold as their economies hit rocky roads. While there is no sense of a critical situation, the general sense is one of caution. Investors normally reward a currency with a high interest rate and this stall of tightening policy will likely introduce negative sentiment for both currencies. The week ahead brings numerous important economic events such as policy meeting minutes, retail sales, employment and industrial numbers. There are many more other events and hence it is important to follow an economic calendar so that you can reduce the possibility of an unexpected development affecting your trading plan. Members can log in to their dashboards for an economic calendar and the latest premium analysis, including the Price Action Bias Signals is now available too. The EUR/USD flipped towards the up side. US data disappoints. A shift in sentiments is likely the cause. Bond yields for Spain surged. US employment market remains weak. 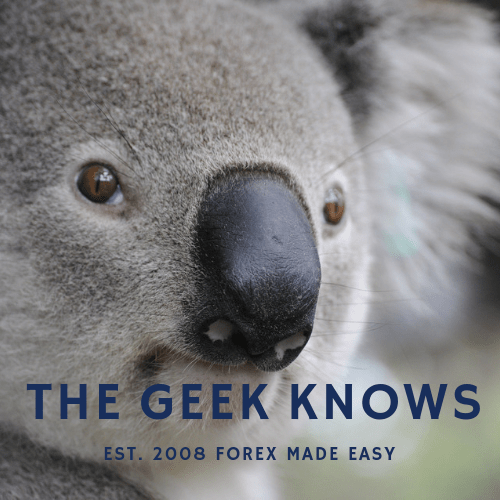 EUR/USD forecast by The Forex Koala.